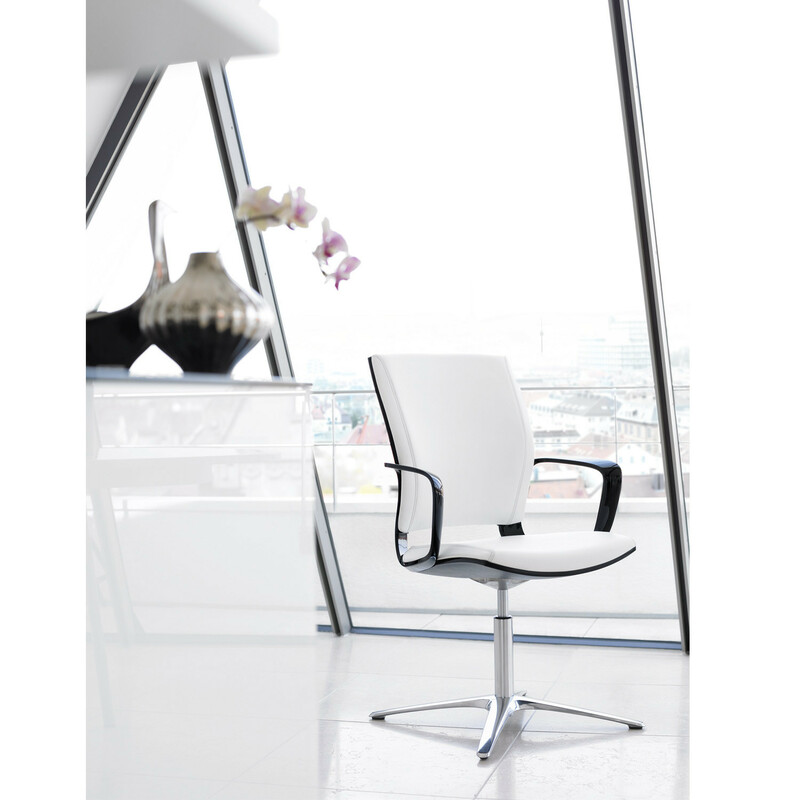 The Moteo Meeting Chair by Jörg Bernauer is a sophisticated and elegant range of upholstered mid backrest meeting and visitors chairs which will help to shape an office with a distinctive character. 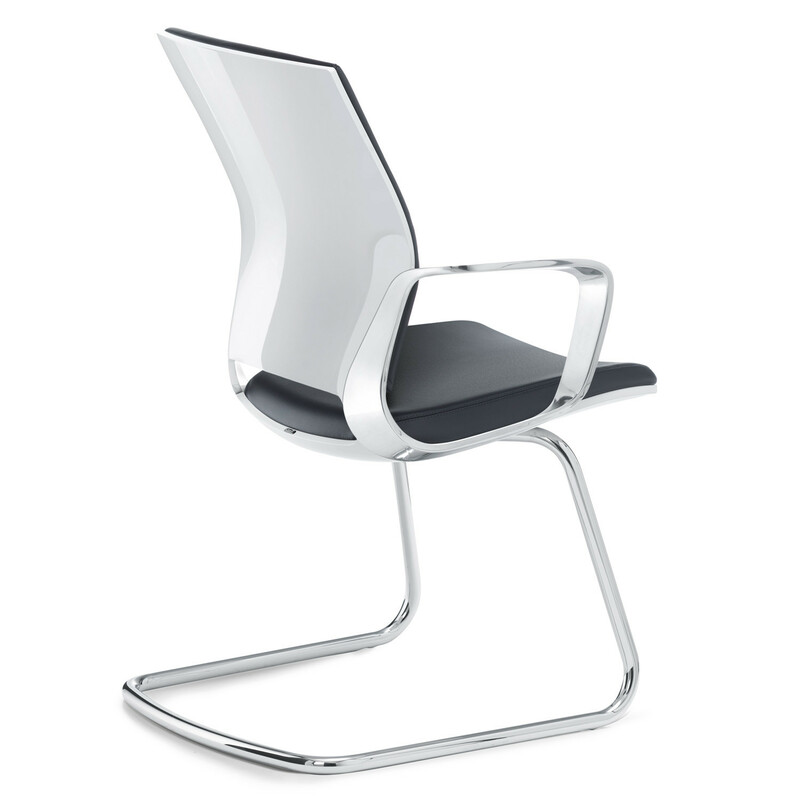 This exclusive chair is available in various finishes: high-gloss white or black, matt silver or black, and in three-dimensional moulded walnut veneer. 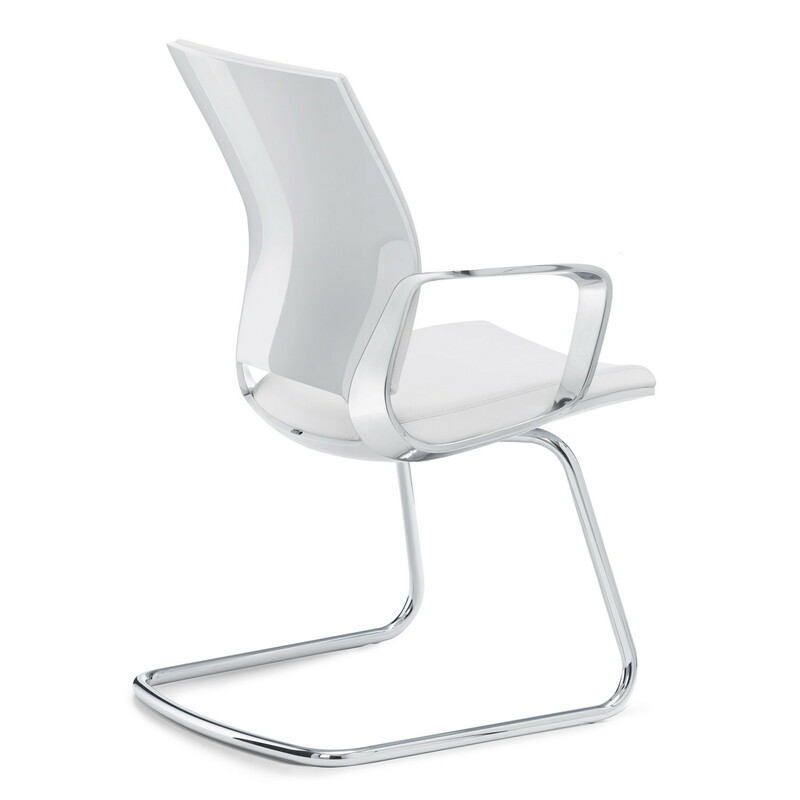 The Moteo Meeting Chair offers a great seating position. 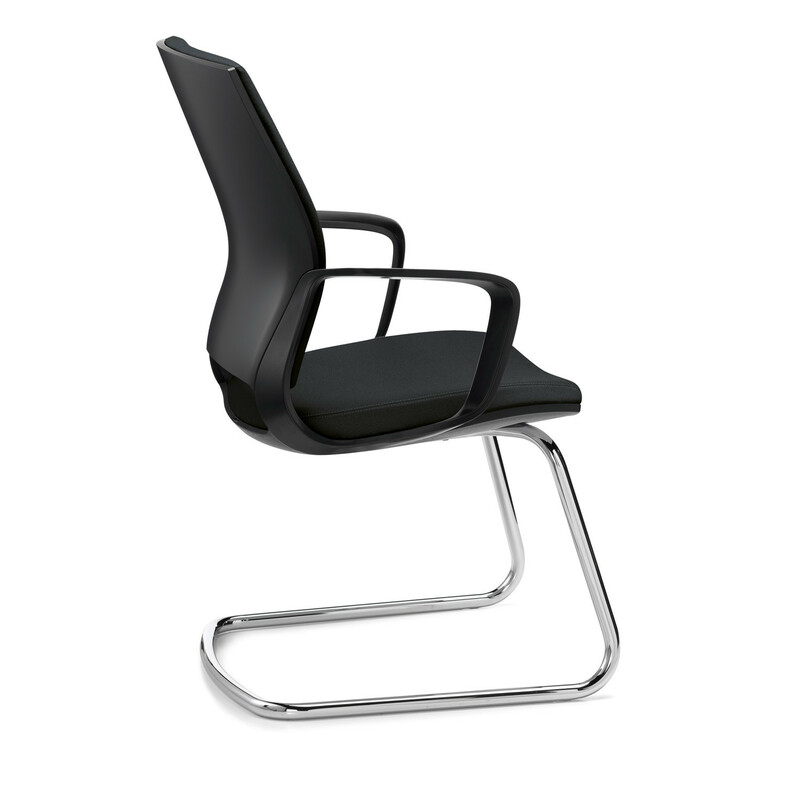 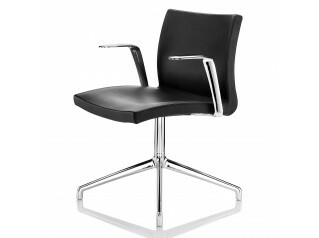 Similarly to other Klober office chairs, the Moteo Chair has a distinctive ergonomic curvature. 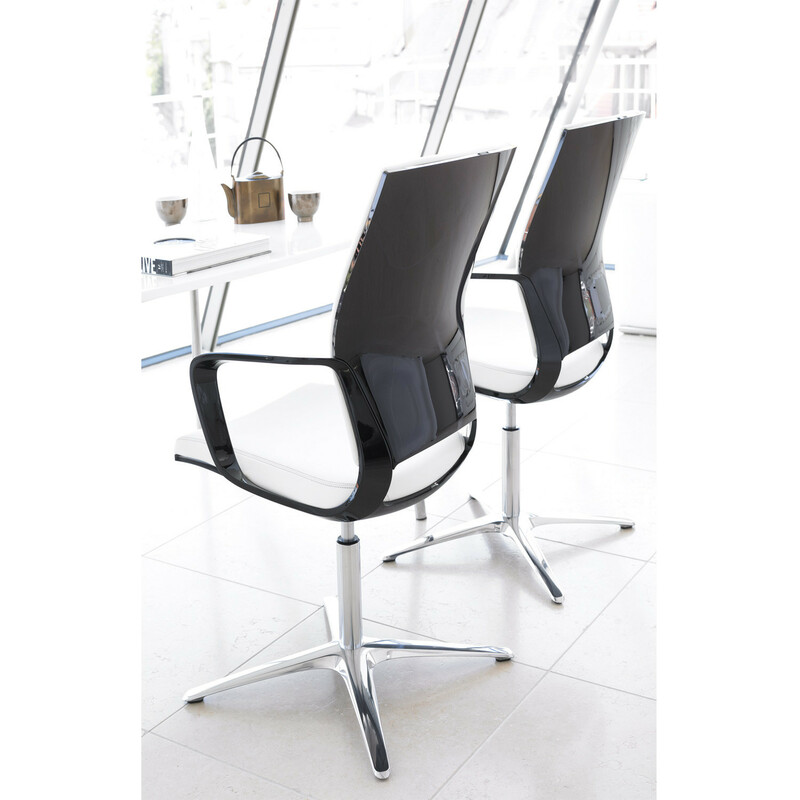 Its foam structure contains intelligent controlling mechanisms: the celligence®-system which will keep the sitter active at the four key points. 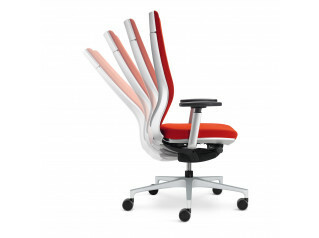 The lumbar support ensures that the lower back is in a state of equilibrium, the pelvic support gives a well-balanced posture, the shoulder support takes care of lateral movement to the right and left, and there is also pelvic positioning to ensure a straight back. 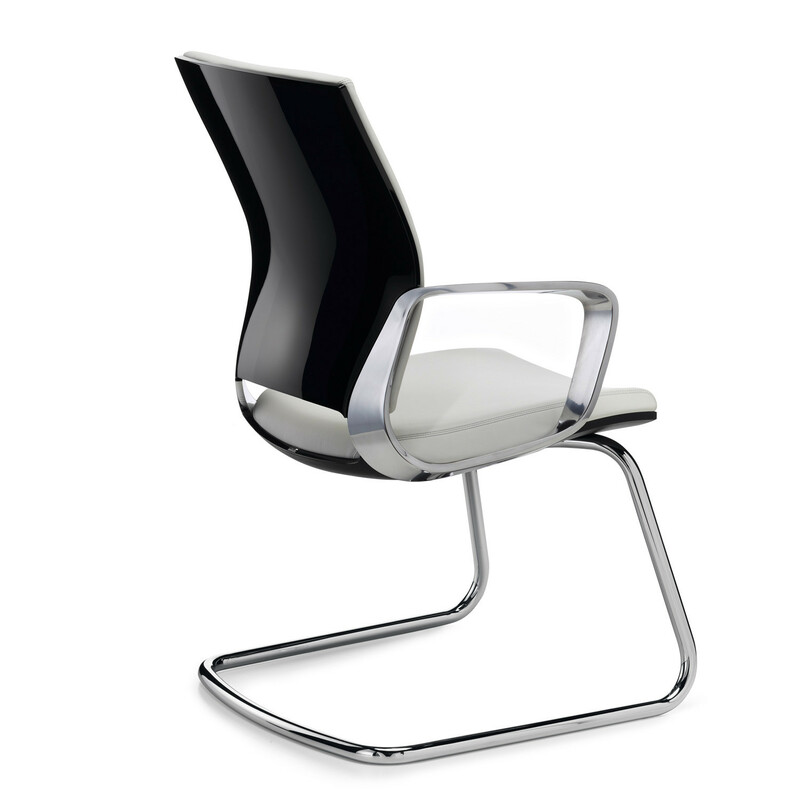 An intuitive system which will support an individual’s dimensions and habits. 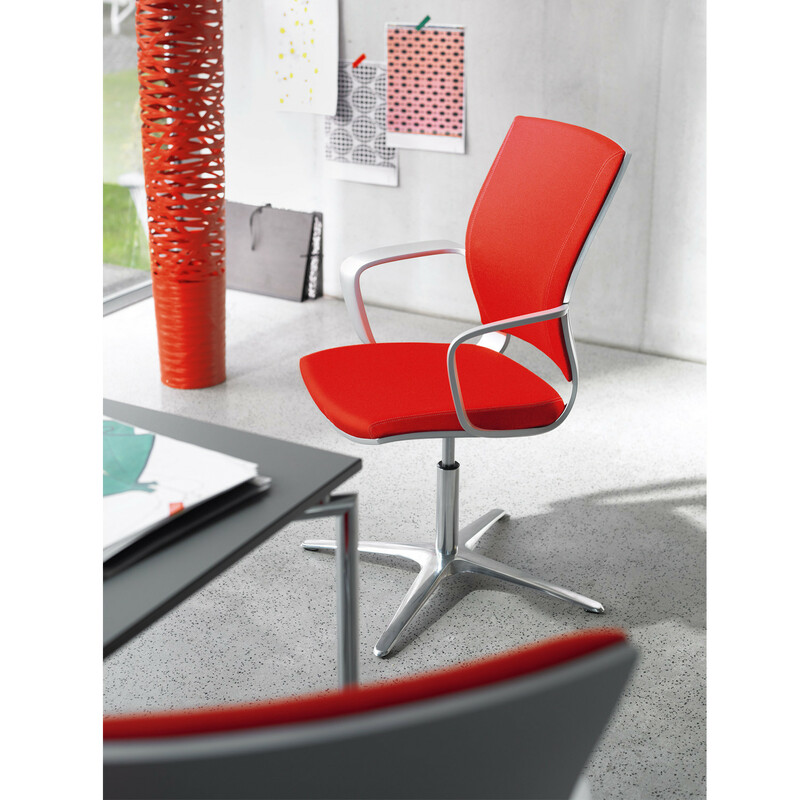 The Moteo Swivel Office Chair is available within the Moteo collection as well. 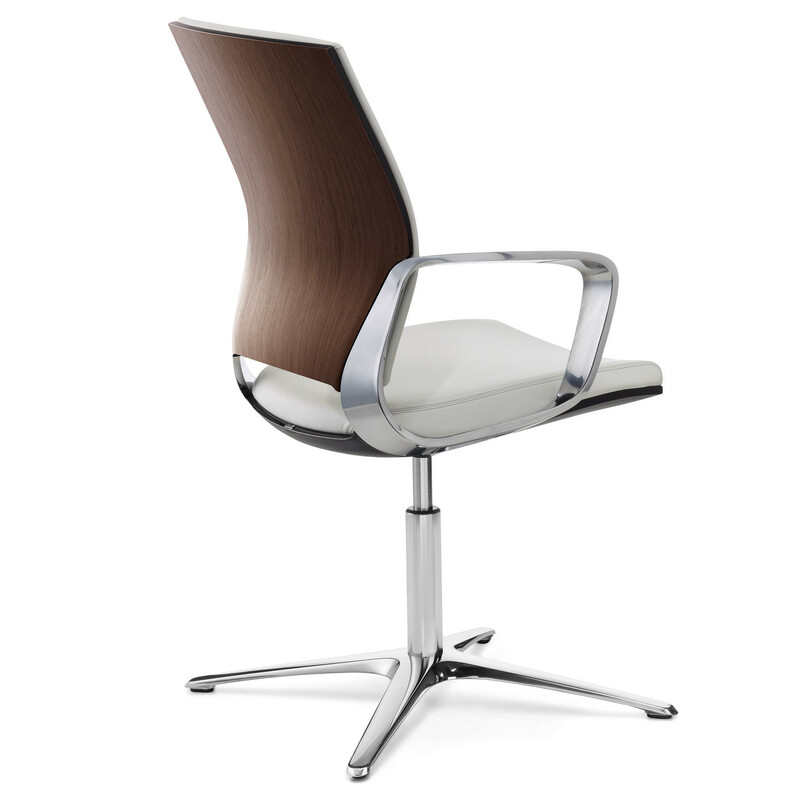 You are requesting a price for the "Moteo Meeting Chairs"
To create a new project and add "Moteo Meeting Chairs" to it please click the button below. 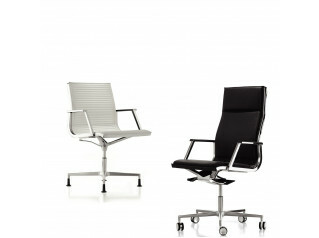 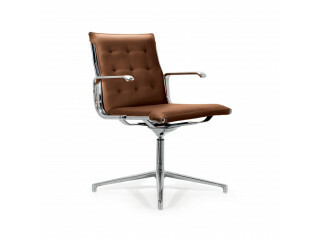 To add "Moteo Meeting Chairs" to an existing project please select below.